In May 2007 Bombardier released the new version of the CRJ900 jet, the Bombardier CRJ900 NextGen. The CRJ900 NextGen is an improved version of the original CRJ900 that focuses on interior - cabin improvements and better operating economics for the aircraft. 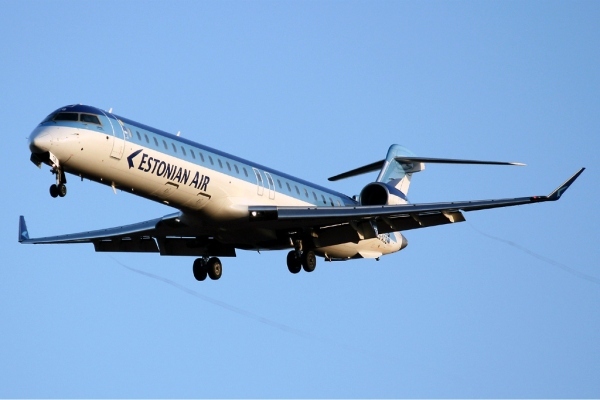 These improvements were based on the newer components of the CRJ1000 aircraft. The CRJ900 NextGen has larger overhead bins, bigger cabin windows, better lighting (LED lights) and improved ceiling panels and walls in comparison to the original CRJ900 jet. According to Bombardier, the CRJ900 can hold 21 percent more roller bags in the overhead bins in comparison to the regular CRJ900. The lighting of the CRJ900 NextGen is impoved through the use of LED lights, instead of florescent lights. Windows on the Bombardier CRJ900 NextGen are 15.8 inches tall, 2 inches taller then the previous CRJ900. These taller windows combined with the addition of the window shade handles that are notched into the sidewall allow the CRJ900 NextGen to have a 24 percent increase in window area. In addition to the above improvements, Bombardier also introduced the availability of a seat back in-flight entertainment system and increased checked baggage space of 8.2 cubic feet for the CRJ900 NextGen. The last area of improvements for the CRJ900 NextGen are for the operating economics of the aircraft. Bombardier has reduced the fuel burn of the CRJ900 by 4 percent and direct aircraft maintenance cost by 9 percent on the CRJ900 NextGen. The maintenance savings are achieved by increasing the A check to 600 flight hours (400 on the original CRJ900), C checks to 6,000 hours (4,000 on the original CRJ900) and Calendar inspections to 3 years. Above Bombardier CRJ900 NextGen Photo by Aktug Ates on Wikimedia Commons. Photo (only) released under the GNU Free Documentation License, Version 1.2. The Bombardier CRJ900 NextGen is also called the Bombardier CRJ9 NextGen, Bombardier CR9 NextGen, Bombardier CL-600-2D24 NextGen, Canadair CL-600-2D24 NextGen or the Canadair Regional Jet 900 NextGen. These are the other names for the CRJ900 NextGen.